How do you find out about concerts in Cuba? We had heard about the Buena Fe concert back in Trinidad, my friend’s daughter had told us about it, she probably heard about it from a friend, who maybe heard about it on the radio. When I’m in Trinidad, I limit my visits to ETECSA, so I don’t rely on internet sources or online magazines to find out what is happening in Cuba while I am there. 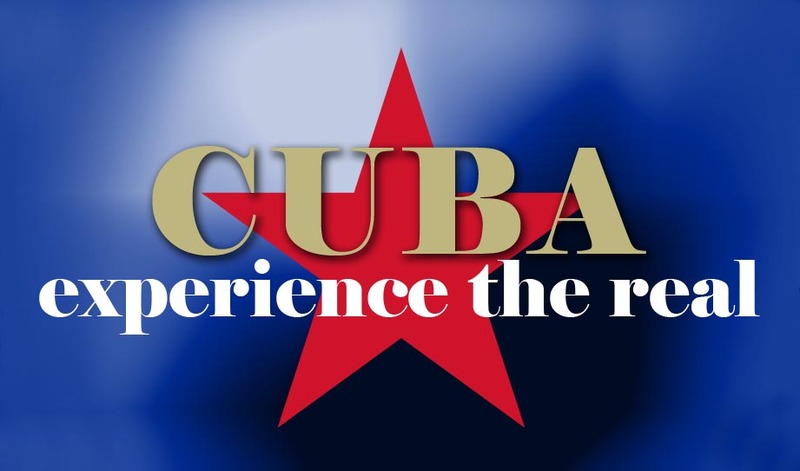 You can download monthly ‘what’s on’ guides from Cuba Absolutely before you go. These are informative and helpful guides to have on your smart phone or ipod. But I went to Cuba at the end of February 2014, so unfortunately I was not able to download the March guide before I left. Anyway, I tend to rely on word of mouth or visit places like Cuba Libro, where you can hang out, drink ice-tea and find out what’s happening in Havana. Where can you buy concert tickets? As soon as we arrived we were determined to find out how to get tickets to the Buena Fe concert that night at the Karl Marx Theatre in Havana. We asked at the casa, we called the Karl Mark Theatre box office, we asked the staff at the local cafeteria…the general consensus was that we could go to the box office on the night and buy our tickets. However, they did warn us, tickets could already have been sold out; Buena Fe is very popular in Cuba. In which case we could see if anyone was selling unwanted tickets on the street. It’s not something I had thought of…….Would it work? What time does the ticket office open? Will we find tickets on the street? What time should we get there? Should we go? We looked at each other for the answers, neither of us had a clue how it worked in Havana, but that didn’t stop us from taking a chance. This was the first time we had been to Havana together. She had left the family and kids back home in Trinidad, so we wanted to make the most of our weekend in the city. How do you get to the Karl Marx Theatre from Vedado? We had nothing to lose, we got ready to go, not prepared to walk all the way or pay for a taxi, we headed to Linea, we flagged down an almendron and told the driver where we wanted to get dropped off. I had given my friend the instructions and got her to do the talking. Even though people could tell a mile off that neither of us where from Havana, at least with her Cuban accent we were less likely to get ripped off. It surprised her that I could find my way around the city and knew how to use the shared taxi system in Havana; the almendrones. She thought it ironic that she was the tourist in her own country, and I was her guide. Knowing how to use the almendrones took some practice but people are happy to explain to you how they work as it’s no longer illegal for tourists to use them. The almendrones are cheaper than taxis, they work certain routes, so it’s good to know which routes they work so you can work out which is your best pick up and drop off point. They may not always take you directly to where you want to go, so be prepared to walk a few blocks. How do you know when to get out of an almendron? If like me, you don’t like to carry a map around with you wherever you go, you can try to mentally remember which streets are just before your drop off point so you can calculate where to get off. You can sometimes rely on the driver to remember where you want to get off. I knew we wanted to get off somewhere around Calle 8, so as we got closer to Calle 8, I began to think that the driver had forgotten where we wanted to go so I asked him to stop and he looked at me and said, ‘but didn’t you want to go to 5th avenue and Calle 8?’. I had forgotten that the route comes off Linea and goes down 5th Avenue after the tunnel! What did we know? The Guajira and the Turista, I paid the 20 pesos Cubanos for the 2 of us, thanked the driver and we laughed to ourselves as we walked down the unlit calle to 1st avenue. Can you buy concert tickets on the street? Before we had even arrived at the theatre, a young man on the street asked us if we wanted tickets to the show. Misle taking the lead, began to ask questions, I let her do the talking once again. He was selling tickets for 25 pesos or 1 CUC. I thought I had misheard him, the young staff at the cafeteria had told us that we should expect to pay at least 5 CUC. Misle wanted to know if they were good seats, close to the stage, if they were genuine tickets etc. He showed them to us but how would we know, neither of us had ever been to the Karl Marx Theatre before. We had no idea what the tickets looked like, but we had street cred to maintain so we pretended we knew what we were doing. To be honest they were pretty nondescript……and anyway were there really counterfeit tickets circulating the streets of Havana? Somehow I didn’t think so. Happy with ourselves, newly purchased tickets in our hands, I couldn’t quite believe how easy and quick it had been, we headed to the box office to see whether they were selling tickets. They still had tickets for sale and ours looked like the real thing. We got into the theatre no problem; we had nothing to worry about. Admittedly we would have liked to have been closer to the stage, but I was happy to be there with my friend from Trinidad. And as for the concert…..? Buena Fe were brilliant, singing about real issues in Cuba, forever reaching out to their audience; they make you feel like they are talking directly to you. They dedicated the concert to the launch of their new website and to the promotion of internet for all in Cuba.